Fun in the sun this summer can include your dog if you plan ahead. There are lots of opportunities to get out together and polish your social skills, too. Farmer’s markets, outdoor music festivals, dog parks, hiking trails, and dog-friendly cafes await you. Watch the weather and look for shelter at the first sign of lightning and thunder. Keeping cool and safe this summer will be a challenge, but you can still enjoy the outdoors if you keep your pup’s health in mind. Road Trip: Cement the bond between you and your dog with a great road trip. Shared adventures stimulate the senses and give you both a change of scenery. Whether your drive is long or short, you can smooth out the rough spots with a few pointers. It takes only minutes for a pet left in a vehicle on a warm day to succumb to heatstroke and suffocation. Plan your trip to avoid stops that don’t include the dog. Check out a map before you go and ditch the fast food stops in favor of a picnic at a dog-friendly state or local parks. A short walk along a nature path will make you both feel refreshed. A fun road trip depends on your alert driving skills, and your dog climbing over your lap to impress that pretty poodle in the next lane over doesn’t make for safe driving. A doggie seat belt is a good option to keep your medium to larger sized pooches under control. If you have a pint-sized pup, you can purchase a window seat with seat belt built in, allowing your dog to watch the world go by. A crate secured in the back seat keeps your dog calm and serves as his own hotel room when you stop for the night or arrive at your destination. If you are staying with friends or relatives, the crate shows you respect their home, and you are more likely to be invited back again. Exercise: You may think your dog can run all day, but think again. Dogs cannot sweat to cool off like we do, and can only dissipate heat by panting and through the pads on their feet. Keep your pup in the shade and apply cool water to his neck, head and tummy if he appears overheated. Look for signs like rapid panting with tongue extended out, tongue and lips appearing red instead of pinkish, a slightly dazed expression and lack of response to his name, and a reluctance to continue walking or running with you. By the time you see these signs your dog is already in the danger zone. Many breeds are not suited to extended periods of running or even walking, such as those with short noses like bulldogs and pugs. Short-legged dogs are not able to comfortably jog with you, and heavy, muscled dogs like Rottweilers and mastiffs overheat easily. Many dogs will run alongside you out of sheer loyalty and this strong desire to stay with the master will override their sense of self- preservation and they will quite literally go until they drop. This doesn’t mean you can’t have fun outside with your best friend, but you can take steps to keep him cool and comfortable. Purchase a ‘cool bandana’ for your pooch. Soak it in cold water (no ice) for 30 minutes and the special gel crystals inside hydrate and stay cool for about three hours. Try a plastic kiddie pool in your yard. Fill it halfway with water and toss some toys in. You’ll get a kick out of watching your dog splash and catch his toys. Freeze a rubber toy filled with a bit of peanut butter and pieces of treats and biscuits. Keep fresh water on hand so he can drink up when he is through chewing. Limit exercise to walking on a hot and humid day or go early in the morning or after sunset. Most dogs enjoy a good walk more than forced exercise like jogging, which does not allow them to explore all the good smells. Don’t underestimate how sniffing and strolling satisfies your dog’s need for mental and physical stimulation. Summer festivals: You have opportunities in your community to mix and mingle with your dog and enjoy what summer has to offer. Check out local chamber of commerce websites or your newspaper to see what’s happening. Outdoor music festivals are a great way to bond with your dog amongst friends, both human, and canine. Pack a picnic basket and remember a chew for your dog, too. Stay well back from the main stage to avoid startling your pup with loud music. Remember, his ears are much more sensitive than yours. If the gathering occurs during the day, scope out a shady spot early. Be a good citizen and bring a clean-up bag or a doggie training pad for your dog’s potty needs. Farmer’s markets and cafes: Stimulate your local economy and go green and the same time by taking your dog to the local farmer’s market. You’re sure to see other happy dogs shopping the stalls with their people, soaking up the sights and smells. 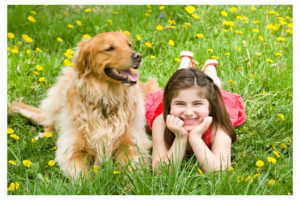 Often, children will be in attendance, so keep an eye on your dog’s body language. If he is overwhelmed by running children and flapping tent covers, you may need to stay on the edge of the action, especially if the crowd is thick. You can sit on a bench in the shade and just survey the scene, or look for a nearby café with outdoor tables in the shade, and enjoy a relaxing break. Some restaurants even have Yappy Hours, when polite pets are invited with their owners. Plan a date with friends and don’t be surprised if the café owner brings your pooch some water and a biscuit. Your dog will love the attention. Paw for Cause: Look for ways to help out with canine causes in your area. Shelters and rescues sponsored dog walks and dog washes give you a chance to enjoy hanging out with other dog lovers and helping rescue needy pets at the same time. A nice, cooling bath for a donation helps the cause and makes your dog feel special. If your dog hates a bath, offer a few donation items like towels, dog shampoo and sponges. Since dogs have a pack mentality and a strong desire to be with a human and canine company, this type of gathering looks like heaven to them. Noise phobias: Many dogs panic at loud noises like thunder and fireworks, both hallmarks of summer. It can be a pitiful sight; your dog worried and cowering from the noise, and if you are caught outdoors when this happens, your dog can bolt from you and quickly become lost. Head for your car or a well-constructed enclosure at the first sign of lightning. At home, you can provide a secure place for your dog to hide, such as an interior bathroom with no windows, or a walk-in closet. Draw the blinds and put on some soft music to muffle the sound. Ignore the noise completely and act normally. Your dog is a good study of body language and will be watching your reaction closely. Your dog is an ambassador. Show off his good on-leash manners in public to encourage businesses and parks to be more dog-friendly. Cleaning up after yourself and your dog shows you care. If your dog is not used to being out in public places, practice your dog’s commands and greeting manners with friends and keep at it until you are confident. The more you take your dog to new places, the more he will adjust to new sights and sounds and relax.